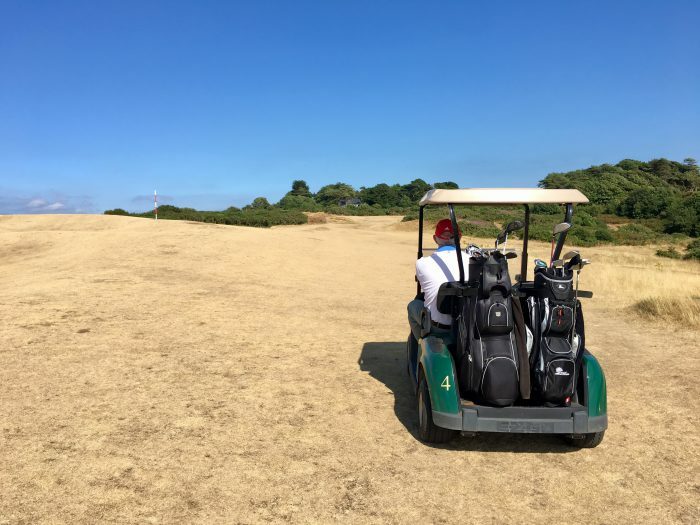 This summer UK golf clubs faced an unprecedented two-plus months of extremely hot and dry weather. Most golf courses turned brown and while this in itself is not normally a problem, several greenkeepers have expressed concern that the weather damaged their courses and has made them more susceptible to autumn diseases. Below, courtesy of our sister publication GreenKeeping, is advice from some major suppliers to the industry on ways to tackle these issues, plus tips on what venues can do to alleviate the damaging effects of future prolonged hot and dry spells. This year’s heatwave has put significant pressure on turf areas, especially non-irrigated and fine turf areas such as putting greens, with extremely low rainfall and high temperatures across the country, leading to stressed turf heading into the main disease season. 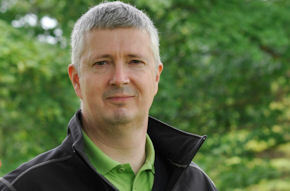 Dr Colin Mumford, Bayer technical manager, says turf stress increases susceptibility to anthracnose and greenkeepers need to keep a step ahead by using preventative fungicide applications. “Environmental factors have significantly impacted turf conditions over the last few months which has reduced the grass swards ability to recover, making it more susceptible to disease, such as foliar blight anthracnose, and basal rot anthracnose. “If cool, damp conditions are present you are more likely to see diseases such as anthracnose basal rot. This disease can severely affect the playing quality of sports turf causing the crown leaves to turn yellow with a reddish centre and a black rot at the roots. In worst cases this can cause the grass to become extremely fragile and it can be easily pulled from the ground during maintenance work,” said Colin. 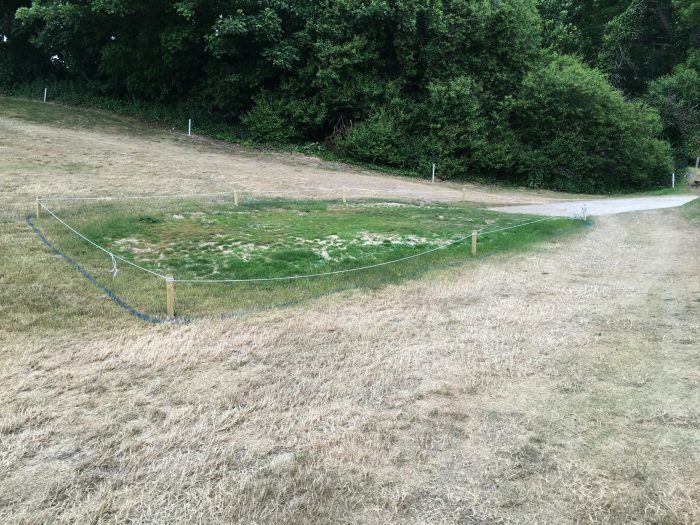 With the loss of iprodione, he warned that it’s no longer a case of waiting for disease symptoms to appear before greenkeepers take any action. He recommends that greenkeepers use an integrated disease management approach employing both cultural and biological controls as well as fungicides if required. disease’, so it’s essential to have adequate plant nutrition in place to maintain a healthy grass plant. 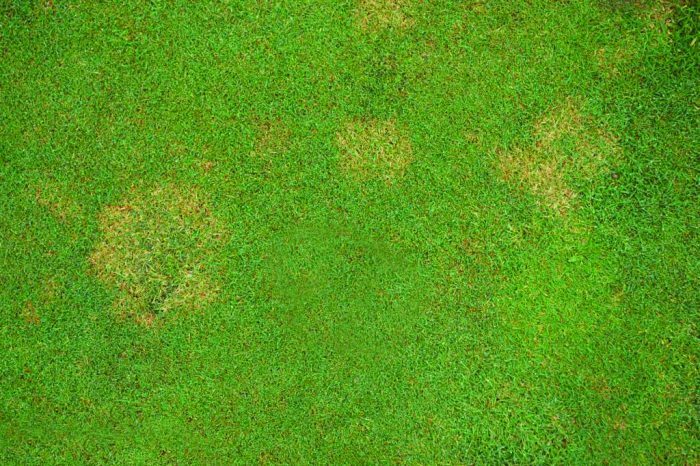 “However, if optimum disease conditions are present, greenkeepers should look to treat turf preventively to stop disease from establishing and reduce the impact of scarring. Using a dual action fungicide like Dedicate (tebuconazole and trifloxystrobin) not only helps to prevent onset of diseases such as anthracnose but can also be applied as an early curative,” said Colin. He added that minimising the impact of anthracnose will result in the grass plant being healthier and able to withstand further disease pressure where microdochium patch would usually take advantage. “Anthracnose basal rot is a biotic stress and if you can reduce that by using a preventative fungicide programme you will get a healthier grass plant that is more able to withstand other biotic stresses such as microdochium patch,” said Colin. If 2018 has taught those who work outdoors anything, it is to expect the unexpected! At the time of writing we have had a year with more snow, more rain and more blistering sunshine in one year than many can ever recall … so what is in store for us in the autumn? Predicting the weather often makes a fool of us all. Will the weather become stormy, and wet because the sea is very hot and that means energy will be transferred in evaporation to clouds, followed by rain? Or, as current forecasts suggest, we are in an extended period of warm settled weather? Across the nation of course, it could be a mixture of both! Trying to translate how this will affect turf management issues is where the greenkeeper’s skill and knowledge is most needed. The summer has had a hugely stressful impact on the grass. Firstly, there is the obvious problem of outright death. It is expected in annual species like poa annua but it is also likely there will be significant death of perennial plants that have been on ‘the edge’ of their survival limits or ‘zone of tolerance’ by conditions this year. Water stress – they haven’t grown as well or matured fully. Heat stress – photorespiration may lead to reduced root mass. Insufficient fertiliser inputs (because it’s been too dry to fertilise without water availability) or irrigation may have leached much of it away. Summer disease attack – physical damage to the plant. Accumulation of salts and ions such as calcium, iron, sodium and so on deposited by irrigation water during the summer months. As water evaporates, these elements left behind as deposits causes shifts in soil pH (alkalinity or acidity), which causes changes in microbial populations as their zones of tolerance are affected. Build-up of organic debris (from plant death, leaf shedding and root residues) above and below the surface. The problem for greenkeepers is that the odds are already stacked against them. There is a combination of direct damage to the plant by disease and stresses plus the problem of an environmental shift in the plant growing environment; coupled with the imbalances of microbial populations. Reduced nutrient inputs – will favour red thread, fusarium, anthracnose (blight and basal rot), rusts and leaf spot. Organic matter, surface build-up harbour decomposers that can become pathogens (killers) if optimum circumstances provide them with super growing conditions (humid, mild, little air movement and so on). Organic matter on the surface will also tend to hold moisture and this will encourage attack from basal rot anthracnose, dollar spot, fusarium and so on, by providing moisture for the fungi to grow and set and transport spores during reproduction. Organic matter build up (soil) – increased risk of superficial fairy rings, thatch fungus, various fairy rings and possibly unusual diseases such as brown patch and so on. Plant stress – every plant has an immune system just like our own and if it is weak it has less of immunity to invading disease. Photorespiration will have deprived the plant of carbohydrate energy resources to draw on when under attack and therefore its response will be weaker. The major concern is that due to such unfavourable growing conditions, the turf faces not just one or two concerns but will be hit by a barrage of problems occurring all at once and the threat is from multiple pathogens for multiple reasons … so what is required? Plant first aid – the first thing to do is provide first aid for the plants that have survived the stresses of summer to strengthen them. The plant will benefit from nutrition from fertilisers to rebuild tissue, but other materials such as Amino-Form LX containing amino acids will enhance this process. Wetting agent – to aid water penetration, infiltration (soil re-wetting) on areas such as fairways, greens surrounds, approaches, carries and so on. Aeration – to aid water penetration – even if this is only 12 to 25mm deep penetration at first. It is important to capture water and help it into the soil as on hard baked surfaces the water just runs off. Surface organic matter (fibre) – this needs raking out to avoid its hydrophobic properties preventing water entering the soil or, once it eventually hydrates, acting like a sponge over the autumn / winter. Do this before seeding! Soil conditioners – both plant and soil have had a battering in the hot conditions so application of products to help the soil recover and, more importantly, soil microbial communities to recover, are appropriate. Consider the use of humic acids to aid soil conditioning, soil structuring products (Integrate) and so on. Install new plants – where plants are dead no amount of TLC is going to bring them back so overseeding will be a priority! Without overseeding, expect a huge increase in annual meadow grass in the sward. The new tetraploid perennial ryegrass blends such as R26 CRT or R6 CRT are an excellent choice as they have exceptional tolerance and recovery from environmental stress as well as show excellent disease tolerance. Plant protection – have a strategy for plant protection before the problems arise. Even with all the best cultural practices in place, disease and pests still occur when conditions are right, though hopefully with good cultural practice the impact will be less severe. Of course, when it comes to planning, emergency or otherwise, the biggest difference greenkeepers will face this autumn, when deciding their late summer / autumn fungicide programmes, will be the products that are available to them compared to last year. The loss of Iprodione based products takes away ‘the get out of jail’ card that many have relied upon in the past. Unfortunately, the replacement products do not have the ability to eradicate established disease and therefore need to be used as preventative sprays. All fungicide applications need to be flexible to cope with prevailing weather conditions, disease pressure and be integrated with the club’s nutritional, biological and cultural programmes. Following the reseeding or renovation programme, there will be a need to protect the existing plants and newly germinating seedlings from a range of stress and disease pressures. One ideal treatment following such programmes is the Rigby Taylor Exteris Renovation Package. This tank mix programme contains Bayer’s latest SDHI chemistry featuring the active ingredients fluopyram (SDHI) and trifloxystrobin (strobilurin), combined with the recovery agents Trimate (fulvic and amino acid) and Option; a new adjuvant containing phosphite to stimulate root development and the plants own defence mechanism. Exteris, is ideally suited for use at this time of year as the active fluopyram is one of the few products taken up by both the foliage and root system so it can protect the whole plant. 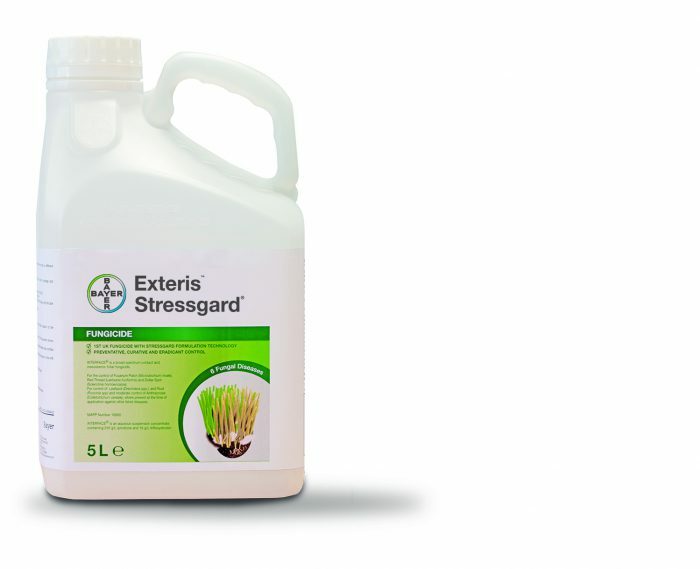 The Stressguard part of the Exteris formulation also contains a UV filter to reduce damage caused by high solar radiation, together with a dew dispersal system to reduce retention of moisture on the foliage. The basis of a preventative programme is always to minimise disease levels and not allow the fungi levels to increase. To achieve this, it is necessary to plan an approach using the range of active ingredients available with the first round of the treatments being applied during mid August to mid September, depending upon disease conditions. 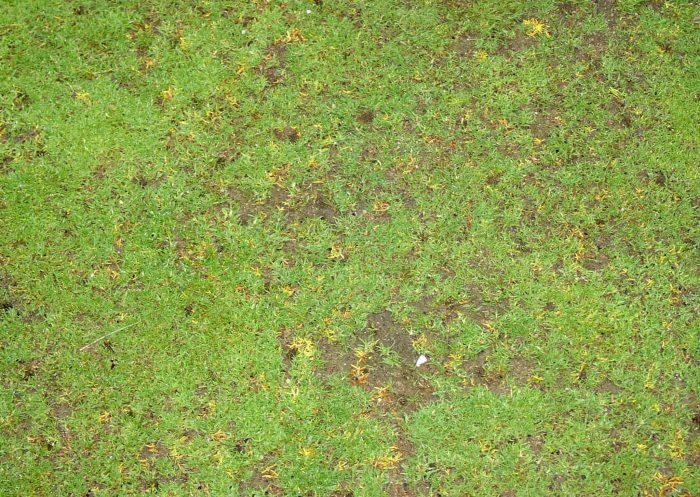 The most prevalent and damaging disease likely to occur in the autumn is microdochium nivale – commonly called ‘Fuzz’ – and it requires more than five consecutive days of suitable conditions for it. Rigby Taylor has nine tank mix programme options that cover all the likely disease conditions affecting turf throughout the year; some are specific such as the Renovation programme and another for fairy rings, whilst others contain actives and mixture partners that synergise to enhance performance and target a broad spectrum of diseases, all however are designed to meet both a club’s technical and budgetary requirements. 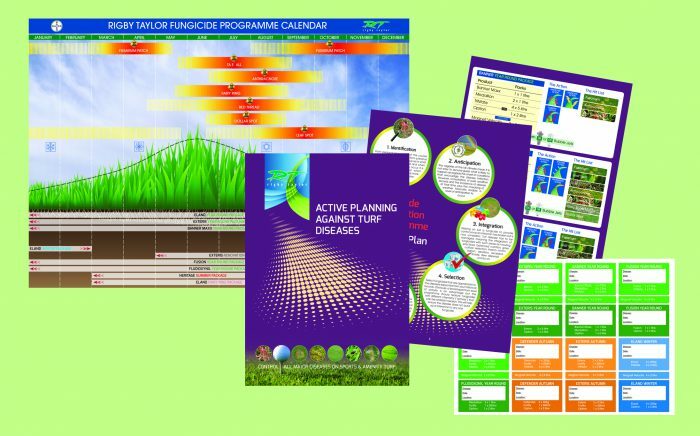 A fungicide programme planning chart and 12-page brochure is being made available to greenkeepers to allow them to pre-plan and record their fungicide and disease management activity throughout the year. The long dry summer of 2018 may well enter the history books yet for golf course managers it is business as usual as autumn gets into swing and the normal seasonal tasks beckon. For turf managers, trying to balance quality turf surfaces with the ever-increasing playing expectations of the golfers means getting a maintenance programme in place to ensure year-round golf is vital. Ian Lauder, northern territory manager for Charterhouse Turf Machinery, stresses the importance of aeration to rectify drainage problems caused by compacted soil structures with work done throughout the autumn crucial to delivering improved results through the winter period. “Aerated turf is less likely to be compacted, ensuring better drainage and allowing roots to penetrate deeper where nutrients can contribute to a stronger, healthier plant,” he pointed out. As the weather returns to seasonal normality, care should be taken if the greens are soft and the plant is vulnerable not to use excessive weight or force with any applications you may consider employing. “As soon as you can get a machine onto the surface, without causing issues, aeration should be conducted,” said Ian. 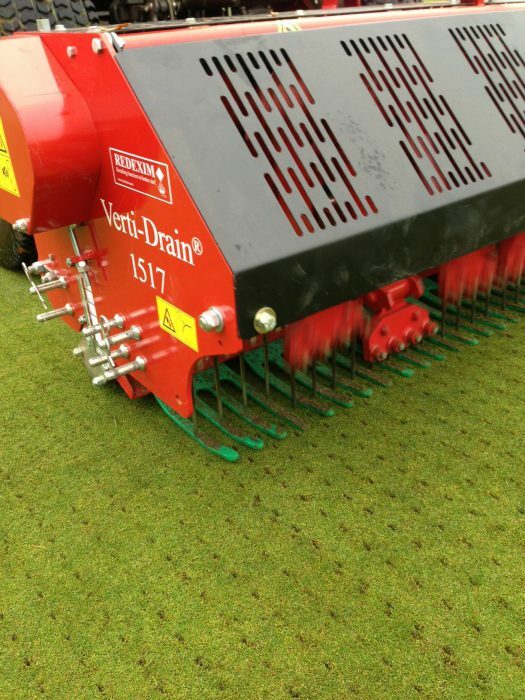 Lighter Verti-Drains, such as the 1513 or 1517 from Charterhouse, can be mounted behind a small compact tractor and deliver the results required to keep the surface free draining. It can also help to link up with the deeper aeration work done over the winter. Next season, if a wet spring looks to be on the cards, the linear aeration provided by the Redexim Verti-Quake is a good alternative. The rotary motion, combined with the forward speed, sets up a wave action which helps decompaction to take place. However, it should be used with caution in dry conditions as slit lines can shrink and open up if the ground is too dry. Poorly drained soils restrict microbial activity, which can in turn reduce the rate organic matter decomposes. This results in anaerobic conditions which encourage diseases and / or a build-up of thatch. If the green is suffering with accumulations, a scarification programme will help to reduce thatch levels and increase the O2 within the organic matter vicinity to help aerobic microbes break down the thatch. 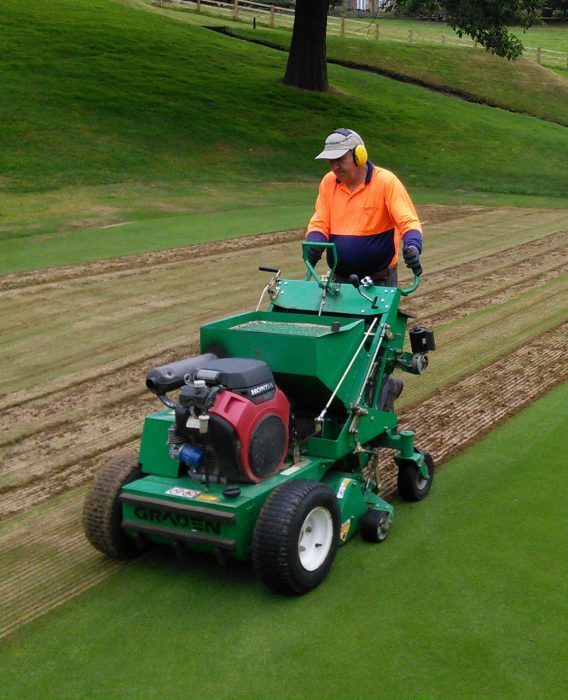 “Scarifying with the Graden Contour Sand Injection (CSI) Unit removes excess organic matter and allows the operator to also backfill with a combination of sand and / or seed to immediately give a surface that is stable and firm. Using the Graden CSI along with the Verti-Drain or Verti-Quake gives a concise and complete aeration and renovation programme for the entire soil profile and a better growing medium for fresh, strong and vibrant re-growth,” Ian added. The UK and many European countries suffer with shorter day lengths and lower soil temperatures at times when golf is still played at a high level – principally late autumn, winter and early spring. John Hughes of DLF Seeds explains how rigorous testing and development has seen the development of seed varieties that will germinate and grow at lower temperatures. “While we cannot cheat nature or beat true winter weather, seed breeders such as DLF have been working on new developments to extend seeding windows – one of these being developments in ryegrass,” he said. 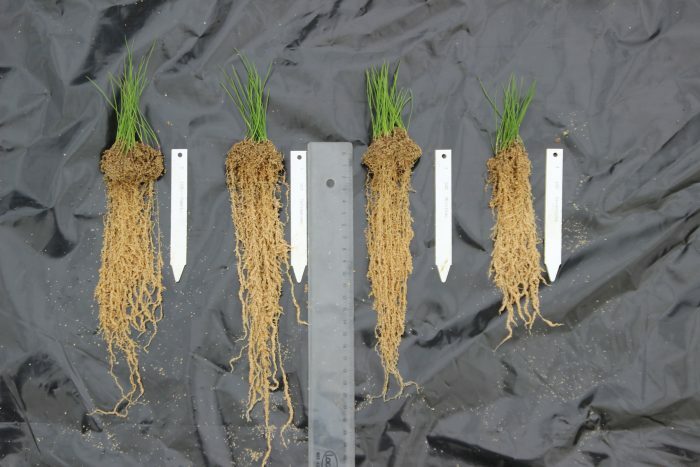 “In 2012, DLF introduced ‘Tetraploid Ryegrasses’, which characteristically provide rapid establishment at low temperatures thanks to their larger seed size. This is primarily due to the larger number of chromosomes within the cell nucleus.” DLF’s 4Turf tetraploids Double and Fabian are used in two Johnsons Sport Seed ranges for tees and fairways. Meanwhile, modern diploid ryegrasses are fine leaved, tolerant of close mowing and can establish at temperatures below the threshold for fescue and bents. Because of these qualities, they have become popular for tee and fairway use, especially on parkland courses. With budgets tight, it may be tempting to prioritise those all-important greens leaving the sowing of any slightly worn areas until later. The problem is that if left, those small worn areas can quickly grow. Once the grass surface is gone, soil particles can quickly splash up onto surrounding plants, which in turn reduces the ability of the grass to photosynthesise; something that’s very important early in the year when light levels are already low. This then causes the surrounding plants to thin out more rapidly, therefore increasing the size of the problem. Timely oversowing prevents the damage spreading and reduces the chances of weed grasses like poa annua getting a foothold. Over at Wiedenmann, the Terra Spike GXi8 HD continues as its UK’s best-selling aerator from the fleet of 11. 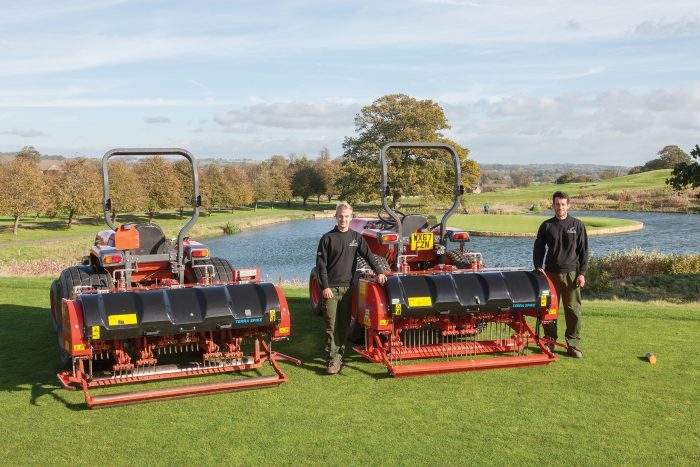 Matt James, course manager at Cumberwell Park GC, who oversees five nine-hole courses at Bradford-on-Avon, has two GXi8s and knows the model well. Some form of aeration is carried out at the Wiltshire club every two to three weeks. The Cumberwell team aerate tees at least once in the winter with 12mm solid tines varying depth and heave as conditions allow. A handful of areas displaying signs of more compaction might be given a second run as spring approaches. During March, hollow coring takes place using 10mm coring tines. Again repetition may be carried out. Over the summer the tees get lightly pencil tined with several passes. Cumberwell’s broad USGA greens are tined twice in the winter with 12mm solid tines and then throughout the year receive maybe half a dozen passes with 8mm tines. Increasingly, the Cumberwell Park team has been introducing multi-tine heads for finer work and for coring throughout the year. The GXi8 HD can be fitted with multi-tine holders on all eight legs, each solid multi-tine head holding up to twelve 5mm needle tines while each coring multi-tine head takes six tines per head with a coring diameter from 6mm. “We certainly vary the tines. With the Wiedenmann we can always achieve the depth which is important. In the past we tried fitting tining units on our greens’ mower but couldn’t get the necessary depth. Now we get finite control from just a few millimetres all the way to 250mm depending on what tines are fitted,” he said. Ecosol Turfcare, operator and supplier of the Drill n Fill, recommends greenkeepers use the legendary aerator on poorly draining greens during spring or autumn for maximum impact. The ability to gently fold back the turf, drill down to 30cm with a grid of drills, take out the spoil and backfill it with either pure kiln-dried sand or a mix of sand and soil amendment, has numerous benefits for golf greens that are slow to drain, retain surface water, have thatch or blackgrass, poor grass growth and compaction. The ducts created last for over a year, allowing surface water to percolate off the surface, through obstructions caused by thatch or compaction and into the rootzone and drainage layer. Soil amendments, such as Ecosol’s zeolitic Sportslite, impart their benefits to plant’s roots, allowing improved uptake of nutrients; increased cation exchange capacity; better germination, drainage rates and levels of plant-available water; and reduction compaction and leaching. The system is particularly beneficial for old clay-based golf greens with push-ups and even for USPGA greens where too much sand or fines have been used in their construction. Some clubs also like to use Ecosol’s Graden, a liner aerator which rips through thatch and can also be backfilled with sand. After Drill n Fill, greens can be back in use in two hours and will usually result in fewer greens’ closures during the winter months. Greenkeepers using Forefront Greens mixture from Germinal have been seeing great results. Forefront Greens is made up of three bentgrass varieties – 35 per cent AberRegal (browntop bent), 35 per cent AberRoyal (browntop bent) and 30 per cent 007 DSB (creeping bent). Richard Brown, amenity sales manager, said: “Unlike older creeping bent varieties, 007 DSB does all of this with a lower requirement for water and nutrients. This means that, for the first time, a creeping bentgrass can be successfully blended with high quality browntop bent varieties to deliver an added-benefit but low input seed mixture. 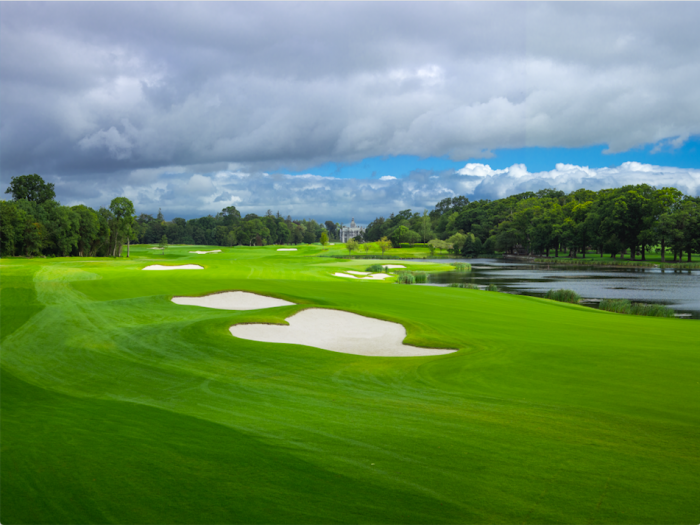 “As such, Forefront Greens is the perfect solution for progressive greenkeepers who are currently managing browntop bents, but who are seeking extra performance without the need for additional management inputs. “Overseeding with bentgrass works well whenever the soil temperature is favourable, essentially between April and September in the UK. Although a full overseed once a year when temperatures are most favourable is desirable, we are seeing greenkeepers have good results conducting two lighter overseedings (each 2.5g/m2) at different times in the season, perhaps once in spring and once in late summer. There are hundreds of turf varieties, but no matter how strong, they are all susceptible to suffer from heat stress. We could easily believe that it is a problem limited only to the southern areas of the world, but cool season grasses can suffer even during mild weather. On sunny days, canopy or leaf temperatures can be 9°C higher than the environment temperature, depending on the soil characteristics. Creeping bentgrass, for example, has a net energy loss when soil temperatures rise above 30°C, so if the sun is high and the air temperature is above 21°C, which can happen even in northern parts of UK, we could see some loss of functionality of both roots and leaves of the plant. The spell of warm weather we have had lately is the perfect example that when a green’s subsoil temperature reaches high levels, grass roots begin to shrink, root growth rates decrease, turf begins to thin and large patches of brown or white turf begin to appear until the plant dies. The cause of death is a process called ‘denaturation’, which is the destruction of enzymes situated inside the plants cells by the heat. 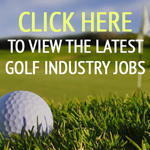 The lack of air movement will cause stress not only for the plant but also the turf manager. If grass is not transpiring correctly, it will not be able to cool itself down, reducing the plant’s physiological abilities to recover while increasing its susceptibility to diseases. Let’s also remember that dew and humidity remaining on the sward for prolonged periods is a primary factor in the development of algae. How do we increase air movement? Simply by improving air circulation. Better air exchange benefits the grass in several ways. How do turf fans improve turf health? There are different types of turf fans and they have evolved considerably since they first started being used on sports fields. Caged, oscillating or turbo are the most common ones observed, oscillating being considered the most beneficial for turf care. They have been developed to provide smooth airflow across the turf canopy. 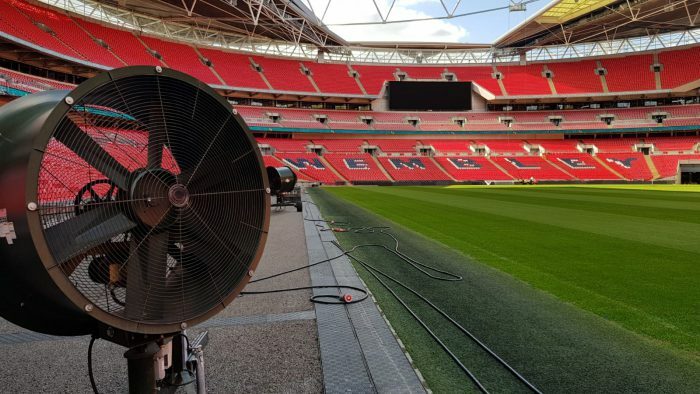 Blowing air at a specific velocity across the turf canopy controls excess moisture reducing the number of consecutive hours of leaf wetness and increasing evapotranspiration, avoiding fungi diseases and algae problems. Air passing over the turf canopy makes micro-aeration much more effective, reducing heat stress by lowering both canopy and soil temperature. Not only does the surface benefit but also the rootzone, as soil moisture can be reduced by as much as 10 per cent. The physiology of the plant will be improved, maximising fungicide performance, therefore reducing the number of applications, saving money and providing a more sustainable environment. Whilst turf fans will help with surface air circulation, a subsurface solution can be considered to provide continuous soil gas / oxygen exchange without disturbing the playing surface, moderating soil temperature extremes and controlling moisture levels. 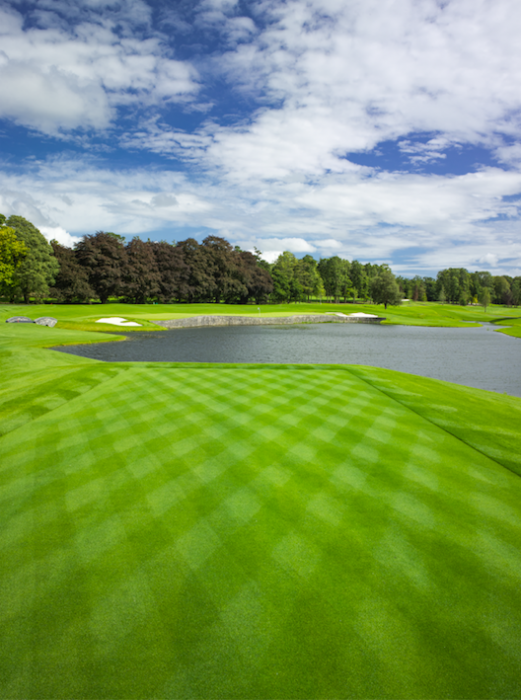 The Golf Course at Adare Manor is the latest to employ the use of SubAir technology. The Fazio Design renovation included 19 SubAir units in total, providing air movement for constant gas exchange and to moderate the temperature in the root zone. With Pure Distinction surfaces and the need to minimise surface disturbance, it was recognised that sub-surface air exchange was a key factor in the long-term success of ensuring world-class conditions. 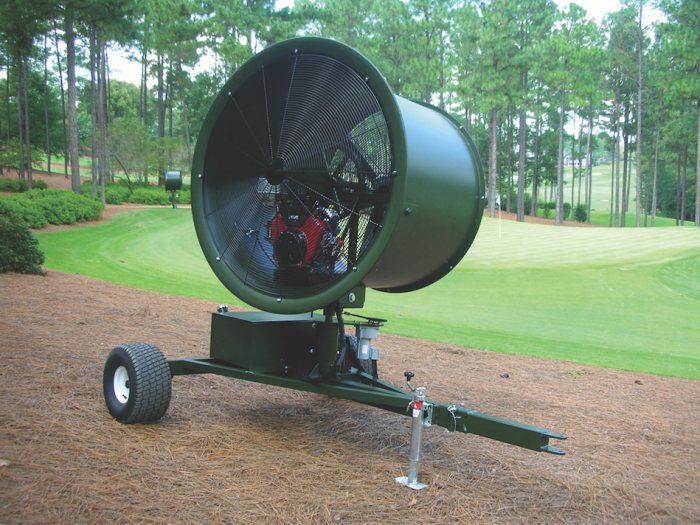 The system is designed to evenly distribute air throughout the whole profile, using vacuum or pressure modes to pull or push ambient air through the turfgrass canopy or gravel layer. SubAir gained notoriety for the rapid removal of excess surface water, indeed 36 times faster than gravity, but its core benefit is air exchange. The result is a magnificent golf course which remains eminently playable in all conditions, whatever the Irish weather may have in store.